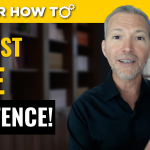 Join career expert and award-winning author Andrew LaCivita for his video on the 3 steps you’re missing to achieve your career goals. You might be surprised why you’re not advancing in your career as you once imagined you would! TODAY’S TOPIC: 3 STEPS YOU’RE MISSING TO ACHIEVE YOUR CAREER GOALS! Maybe you enjoy what you’re doing, but you’d like to climb faster? Perhaps you want to make a change, but you’re not sure how to get there? Here’s why: You’ve never be taught how to manage your career. It’s true. School taught you a trade. On the job training, taught you a trade (this time it happened to be, uh, mostly with grown ups). Have you ever taken a class or a curriculum on how to advance in your career?! 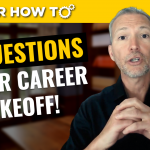 If you want to learn the steps you’re missing to achieve your career goals and the practices you can implement to accomplish your career aspirations, join me for this video!